I have a netbook Asus Eee PC Series 1025C. It already 5 years old and equipped with Intel® Atom™ N2800 (Dual Core; 1.86GHz) Processor, 2GB RAM and SATA HDD 320 GB. The challenge is I want to upgrade this netbook so it can be faster to run. 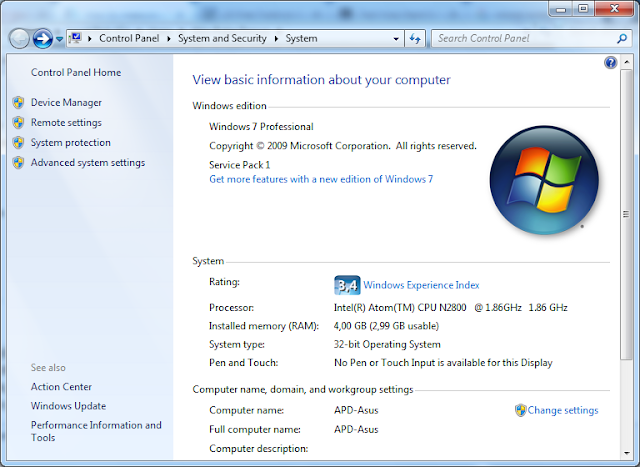 The limitations are processor is support only 32 bit OS and maximum RAM usable is 3 GB only. So, I just changed the DDR3 RAM from 2 GB to 4GB and HDD to SSD. I was using Ubuntu Linux before, but in this time I tried to install Windows 7 32 bit and Microsoft Office 2016 with original license. I failed when tried to install Windows 10 bit, it won't work because problem with display driver for Asus Eeee PC 2015C not supported by Asus or Intel. They don't give update for their display driver to compatible with Windows 10. The SSD is Silicon Power A56 256 GB. 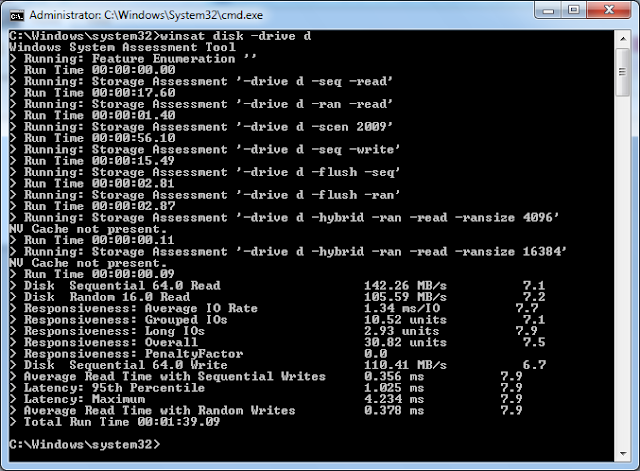 The read write result test using winsat command shows that the SSD performance increased significantly than using HDD. 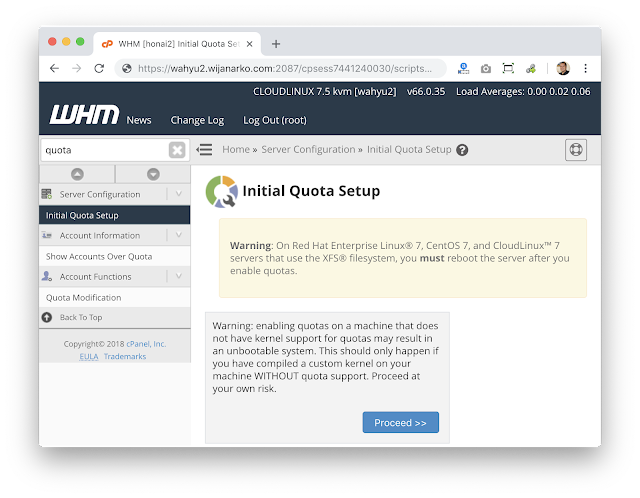 I just installed CloudLinux 7.5 kvm images, downloaded from CloudLinux website, then failed to update Quota on the WHM. They already set it with XFS file system. quotacheck: Cannot find filesystem to check or filesystem not mounted with quota option. Check the quota option for XFS filesystem. If you see the "noquota" option, then you need to go to next step. GRUB_CMDLINE_LINUX="crashkernel=auto biosdevname=0 net.ifnames=0 rhgb quiet rootflags=uquota"
Then the XFS will change like this. One of our VM server accidentally crash and the partition table was deleted. It is using Ubuntu 14.04 on VMDK container. Here are what we did to recover the server. Download ISO System Rescue CD from http://www.system-rescue-cd.org/ then treat as CD-ROM in the crashed VM, and then in the VM Console interface, boot from CD-ROM. Install boot on /dev/sda, then reboot.